My kids LOVE it! This year we are going to start a Sparkle egg tradition in my home. The message delivered was heartfelt and I was proud to give my kiddos this book. The story is well written and the illustrations are absolutely beautiful! Each year I think the true meaning of the holidays gets lost behind gifts. 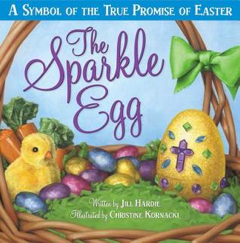 The Sparkle Egg I really do think helped my 3 and 6 year old get a better concept on why we really celebrate Easter. Well maybe not my 3 year old, but Brandon Jr asked a lot of questions and really seemed to enjoy it.